Triem Tay community-based tourism village in the central province of Quang Nam has been temporarily closed after three years of operations. 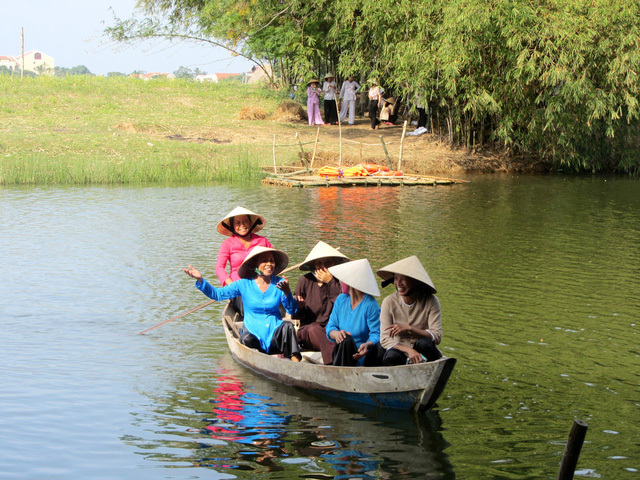 The community-based tourism model was launched in Triem Tay Village in 2015. Thanks to funding from the International Labour Organisation, UNESCO and local budget, many facilities such as community cultural house, piers and reception houses at Triem Tay wharf have been built over the past three years. Old houses in the village are preserved, while local homes have been repaired and upgraded and roads and dykes built. Under the project, local residents have been involved in selecting outstanding local features and developing them into tourism sites, such as the Triem Tay orchard, the traditional mat weaving hamlet, the houses of Pho Ba and Nghe Phung, and uninhabited Triem Tay Islet. However, the village’s tourism potential was not fully tapped despite heavy investments into infrastructure development as well as vocational training courses for local people. Nguyen Yen, head of the village’s tourism model, said people had built fences with trees, but they received no maintenance. Some people replaced them with concrete alternatives. When the local authorities raised the issue they received little co-operation. According to Yen, staff shortages, poor project implementation and modest revenue were among the major reasons for the project’s failure. The project’s management board had 25 members, but many were not devoted to the work. So, the project has been temporarily suspended for dealing with the problems. Nguyen Xuan Ha, vice chairman of Dien Ban Town, said that several meetings were held to seek measures to address the project’s difficulties. It was essential to develop a new operational plan in the coming time. In necessary cases, a new management board could be set up to ensure better results. The village is home to around 10-12 projects, but none of them have proved effective, Ha noted. He added that local authorities would establish a task force to check land use by the project and the results would be reported to Dien Ban Town People’s Committee before October 15. Projects facing obstacles will be supported and the locality will also seek qualified investors to develop the model. Investors would share profits with local residents.